The twin screw monohull Meercat M18 is a cost-effective, multi-purpose workboat designed and made in Hampshire to a highbuild quality. Powered by two Doosan V158TIH engines, the 18.75-metre vessel has a large carrying capability and a top speed of 9.5 knots. As with all our vessels in the M Range the M18 is a monohull and is a workhorse for those needing more from their workboats. She will outperform any of her Meercat predecessors. 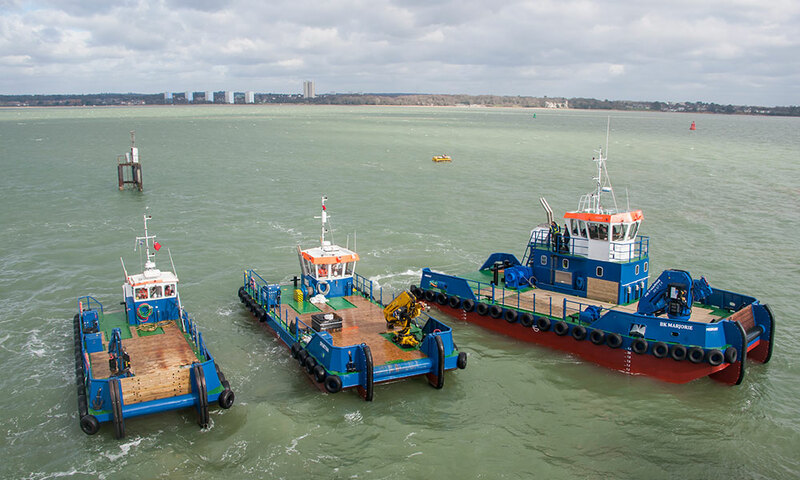 The M18 is largest in our M range, but we can build bespoke vessels up to 24 metres or tailor existing workboats to suit the exact requirements of clients in our purpose-built workshops. The M18 was designed and built at Meercat’s Hythe Marine Park, Southampton base in the UK. The standard M18 comes as a completely new design and is based on the requirements of the users requiring a heavy duty workboat. The vessel can offer a variety of deck/internal arrangement options and the wheelhouse offers great all round visibility to its surrounding area and the deck. The vessel has an extremely stable working platform for a multitude of tasks and can operate to a range of 60 nautical miles from safe haven as standard. Meercat relocated to its present purpose-built 1,600 sq m Hythe site in 2016. Facilities include two 20-tonne gantry cranes, a machine shop, an electrical workshop, a hydraulic workshop, aluminium welding bays and steel fabrication bays. Recent builds include the 15-metre, heavy equipment carrying Spartina for the Southampton’s Harbour Master of Associated British Ports Meercat boats are used for dive support, dredging support, cable and pipelaying, civil engineering support, moorings and pilings, port service, floating crane operation, fish farming, dry and liquid cargo carrying, oil spill response, wind farm support and towage.